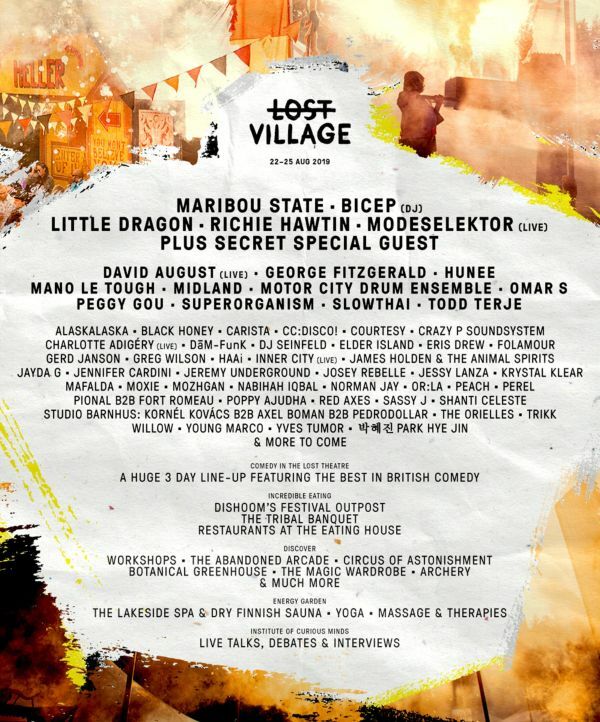 The award winning Lost Village is a unique music festival taking place in an abandoned woodland village, deep in the Lincolnshire countryside. The Festival delivers a spectacular line-up of cutting edge artists, bands, comedians, speakers and chefs. Lost Village also has a strong focus on exceptional eating; from hand-picked global street food to ceremonious Tribal Banquets, catered by world-class chefs such as Michael O’Hare and Lee Westcott. Further to this, the festival hosts an incredible selection of comedy at the Lost Theatre, crafting and workshops in a corner of the forest known as Forger’s Lane, insightful talks at the Institute of Curious Minds and relaxation, hot tubs and holistic therapies at the Lake of Tranquility.